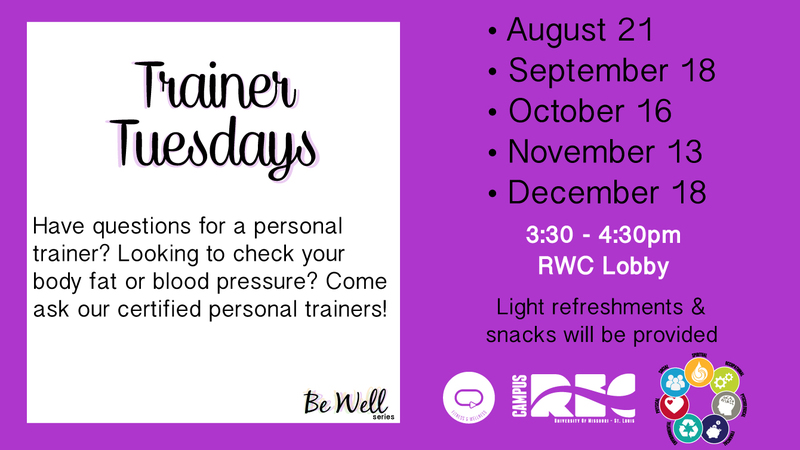 The RWC offers a wide variety of wellness programs and education to improve the quality of life of the UMSL community. With the help of Health Services we are able to provide a large assortment of wellness education and events throughout the year. Many college students are facing various mental health issues. 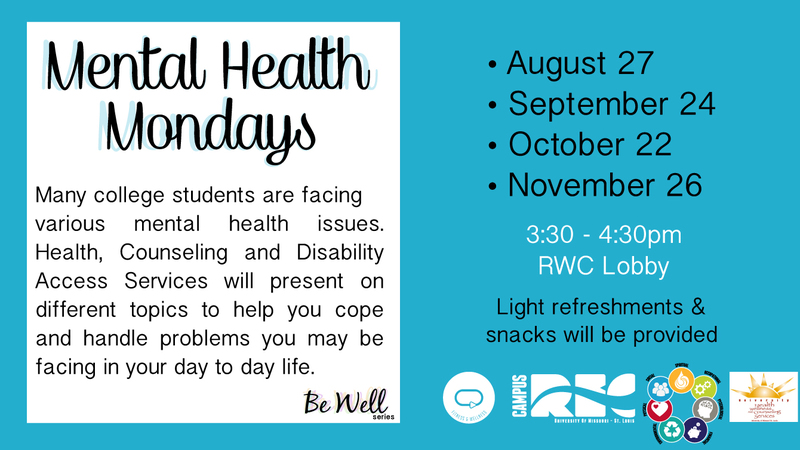 Health, Counseling and Disability Access Services will present on different topics to help you cope and handle problems you may be facing in your day to day life. Celebrate the "wins" in your life! 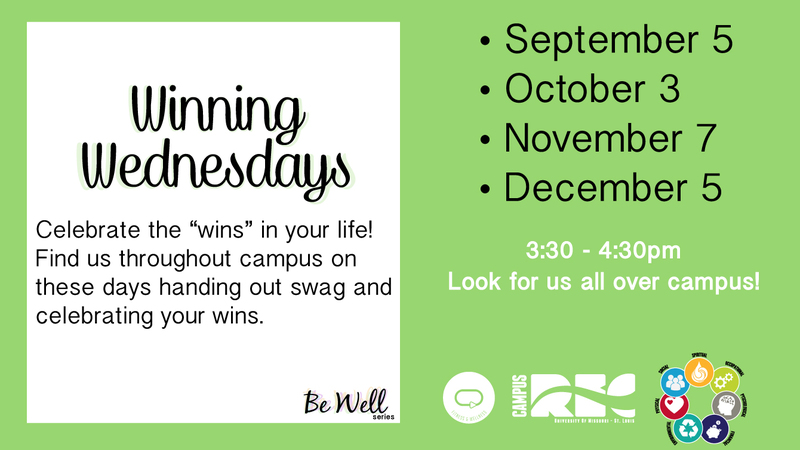 Find us throughout campus on these days handing out swag and celebrating your wins. Have questions for a personal trainer? Looking to check your body fat or blood pressure? Come ask our certified personal trainers! Who said healthy wasn't tasty? 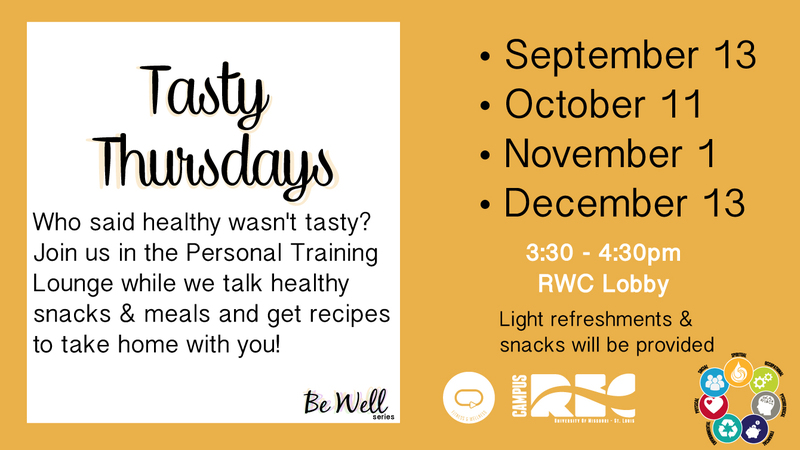 Join us in the Personal Training Lounge while we talk healthy snacks & meals and get recipes to take home with you!